WATCH: Meet Jedi, the dog that watches over type-1 diabetic child every night while his family sleeps. 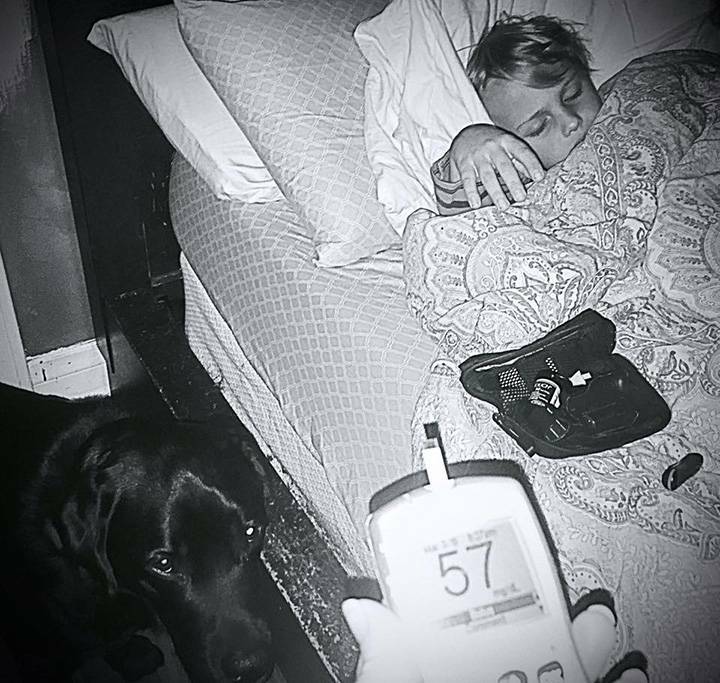 A diabetic alert dog named Jedi may have saved the life of a sleeping seven-year-old boy after the black Labrador alerted its owners that the child’s blood sugar levels dropped to dangerously low levels in the middle of the night. Luke Nuttall was diagnosed with Type 1 diabetes when he was two-years-old, and his blood sugar levels need to be monitored around the clock. To help keep tabs on Luke’s levels, the Nuttall family acquired a dog trained to monitor blood sugar through smell. “This is a picture of Jedi saving his boy,” Dorrie Nuttall wrote on Facebook.